It fosters self-awareness by encouraging you to really consider what brings satisfaction. Not what you THINK should, but what actually DOES. It encourages the development of measurable goals and a mechanism for evaluating progress in each area. It provides a visual prompt that will help you focus on WHERE exactly you want to concentrate your time and efforts. Especially helpful during periods of overwhelm! 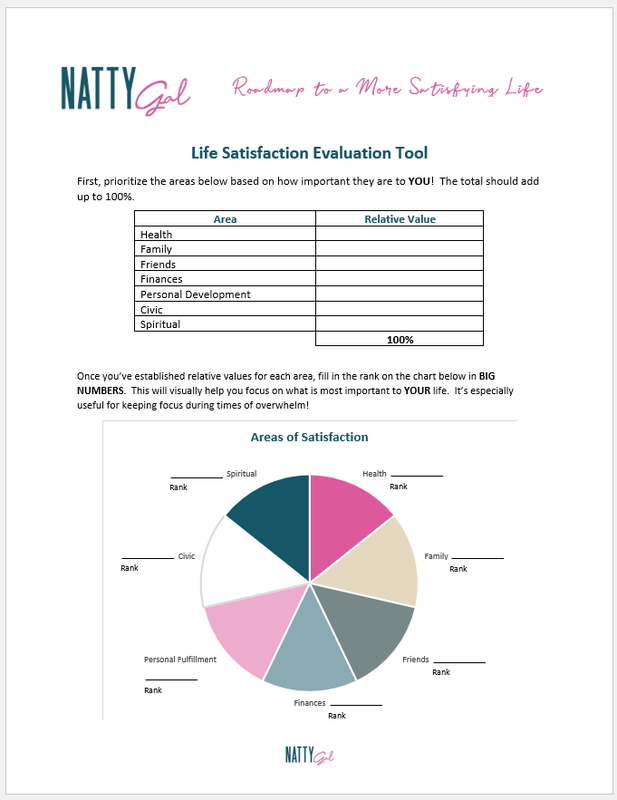 Below you’ll be able to download two of the tools integral to helping me stay on tack and maintain a consistent focus on what makes MY life both more simple and more satisfying. You can work the tools in four easy steps, described below. 1) Determine the relative importance for each component within the road map. 2) Evaluate what worked well and what could have been improved in the prior year. 3) Establish goals for the new year. Goals should be both measurable and detail a path for getting there. For example, a goal may be to increase my blog subscribers by 50% this year. To get there, I need to develop at least 2 new opt-in’s that I promote monthly on Pinterest. 4) Maintain a system for monitoring progress of those goals. Below you’ll find a Monthly Habit Tracker worksheet that you can use to track your goals each month. 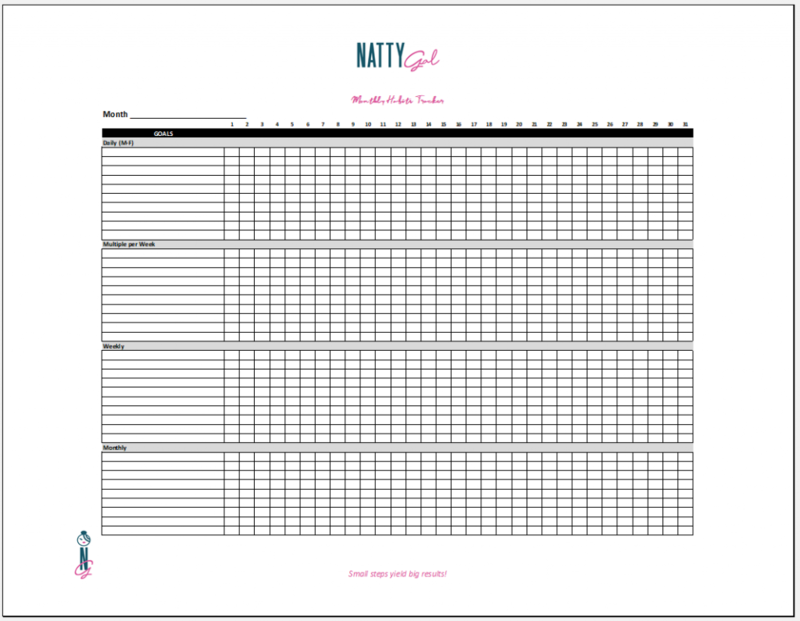 It’s divided into sections where you can record your daily, multiple times per week, weekly and monthly goals for each and every month..
MORE FREE PRINT-ABLES AT NATTYGAL.COM/RESOURCES SUBSCRIBE FOR ACCESS! 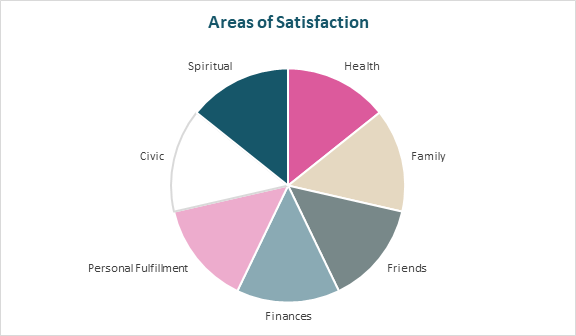 While the components of a happy, balanced life vary slightly by source, the topics below are often mentioned and ones that I find contribute personally to my overall level of satisfaction in life. They form the foundation of my Road Map. The chart depicted shows all areas weighted somewhat evenly. I did this for simplicity but in reality, my satisfaction comes most significantly from health, personal fulfillment, feeling financially secure and friends/family. As you go through the road map, you’ll have the chance to prioritize categories in a way that is most meaningful to YOU! Without health, you’ve got nothing else! In this category I include things like annual doctor visits, physical fitness, mental well-being, a healthy diet, time for relaxation, etc. I’m very lucky that to have good relationships with family members and that currently no one in my immediate or extended family is especially needing of extensive care. My goals here focus on regular communication and visits with a variety of family members. If you have an extremely stressful family life, my condolences. Goals for you might involve identifying the forms of interaction that are least likely to inspire distress or conflict. OK, I’ll just say it. I am a very sub-optimal friend and have been dreading this section of this post. Now, I have some good points BUT I don’t initiate. Don’t call. Rarely text. I think there are a few reasons for this: 1) I was an only child so became very accustomed to finding my own entertainment when bored. 2) I am a tremendous introvert. Being alone just does not bother me. At all. 3) I like to be “up” for my friends. If it’s a depressive time of life, I’ll definitely ghost. Long time friends seem to know this about me and tolerate (if not always approve of) my behavior. With newer friends it’s tricky. I’m friendly and a great “meet-er”. Most weekends you’ll find me with Natty Guy eating at the bar, chatting up whoever else happens to be sitting there. I LOVE meeting people and hearing their stories! I’m just not great at maintaining contact once we’ve met. And this can lead to hurt feelings and misunderstandings. So…this year, with the other categories doing pretty well, I am going to put increased emphasis on this area. You heard it hear first folks, I want the people I care about to know I care. Because I do! I just stink at showing it. This will be the year of initiating something at least once a month. Of texting just to say hi more often. Heck, I may even make a phone call and risk stroking-out one of my friends! But let’s not get ahead of ourselves just yet. Hopefully publicizing this will increase my accountability in this sector. So many people struggle financially! 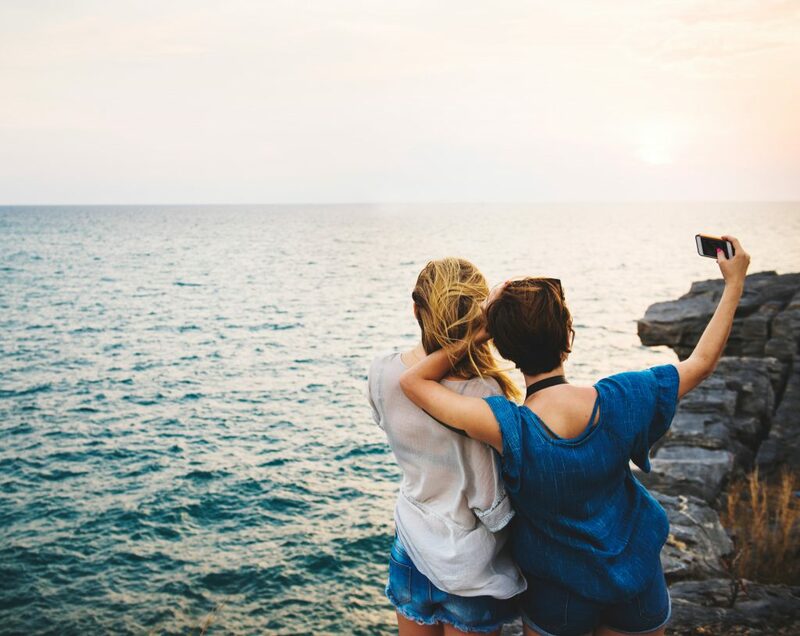 If this sounds like you, as a goal you may want to prioritize paying down high-interest debt (particularly credit cards) or cutting back on spending wherever that’s possible. Those in a strong financial position, may want to accelerate your savings rate in hopes of an earlier retirement or a vacation home. 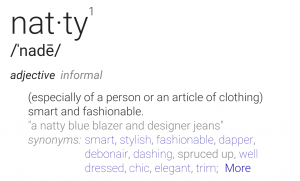 This category is probably tied in importance with health as it represents where you get your satisfaction from. What fills your tank? For some people, it’s their career. Others, raising children or a hobby. For some, it can be something like religion or volunteering (categories which are also represented below). 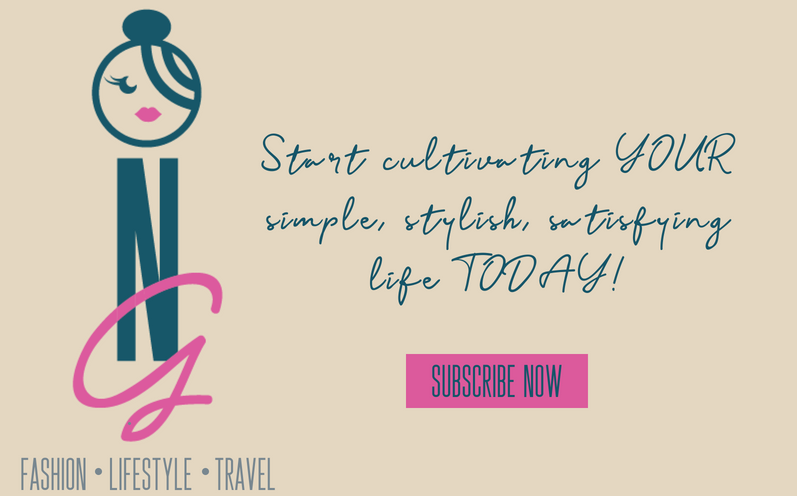 Personally, my satisfaction comes from a handful of sources: this blog, learning and experiencing new things and travel. So my specific goals in this genre pertain to those. They include things like: trying at least one new thing every month (a class, a new play/comedian or sport, etc.) or pitching my blog to one new brand per week. 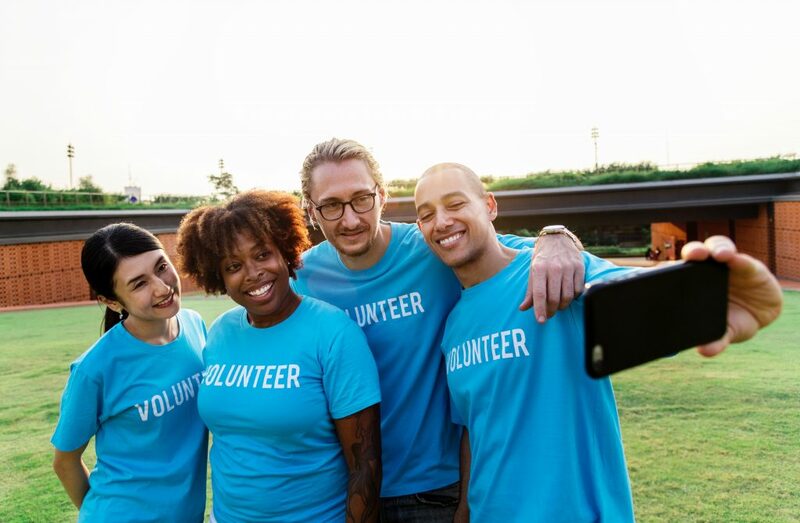 For you, it might be getting a promotion or special project at work or increasing your involvement at your child’s school via coaching or as a special tutor. I find these to be the easiest goals to stay on track with just BECAUSE they bring so much fulfillment. Here I include things like volunteerism and philanthropy as well as a few nice neighborly deeds or random acts of kindness. Basically I consider it to be the things you do as a good citizen. Can you think of other things that should be in this group? I’d love to think outside the box a little more when it comes to this topic! A lot of times when people hear spirituality, they think religion. However, I really don’t follow a conventional religious path. To me, spirituality represents a connected-ness to the world. My efforts here usually focus on nature, mindfulness and gratitude. For those of a more traditional faith, goals for a certain amount of participation at church or time spent in daily prayer may be more appropriate. Remember, it’s never too late to start cultivating a more satisfying life. Little bits of progress each day add up to big results! Go get what’s yours! 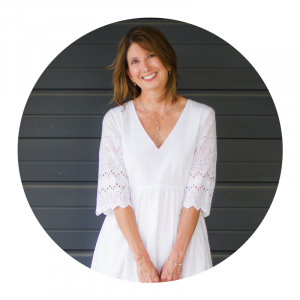 Great blog post Betsy !! Thank you ! So glad you enjoyed! Thanks for taking the time to visit my little section of the web! I think this is a great idea! I’m kinda doing the same thing creating a planner and goal system to attain my goals this year. Let us know how you do lots of posts in the making with this new strategy. Thanks so much Carrie! I’ve done this for ad hoc for a while now and thought if I formalized it, it could be useful to others. It really does help me maintain focus on what’s important to ME as opposed to what everyone else thinks I should be doing! Let me know how yours goes. 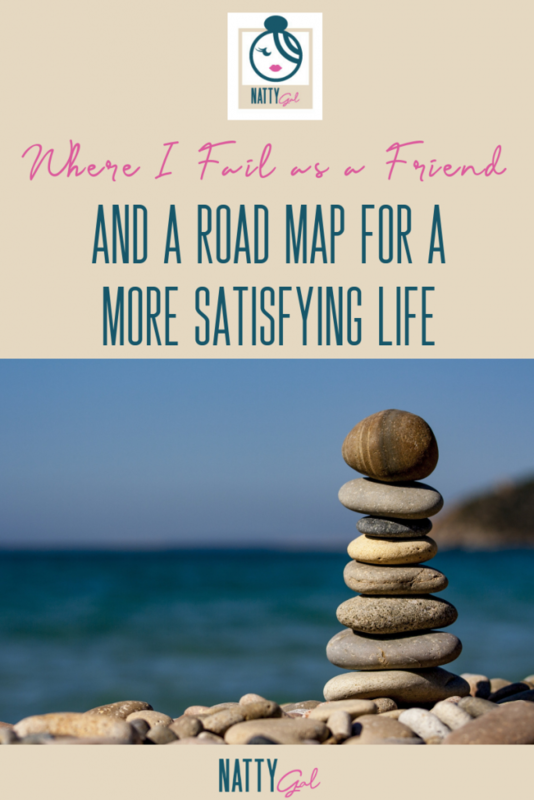 I love the idea of making a road map of life. I am trying to get organized currently and realize that after dealing with illness the past few years, much of my life is a mess. I am an extreme introvert and an guilty of not initiating as well. I also just figure that I am not likeable, which I am working on. This was very well detailed and a good read. Thanks Lesa, I can also relate to the feeling not likable thing. With my wilder friends, I think they must find me boring. With my more sedate friends, I fear they find me a bit flaky or immature. It helps me to keep in mind that my intentions are good and that I’m pretty non-demanding and flexible as a friend. Think it’s a pretty common fear that just not a lot of people talk about or acknowledge! I can relate with friends. I find that I have to consciously make an effort to keep in touch and suggest getting together. I’ve even gone so fair as to set reminders on my phone for weeks in advance to remind me to text or call friends! Life can get busy and I can tend to be an introvert too so I’m not very motivated to keep that friendship going. It makes it even harder that we recently moved and I need to make new friends in the area! It’s a good goal for me too! I love the idea of setting phone reminders! Whatever works, right? Making friends as an adult can be a challenge. 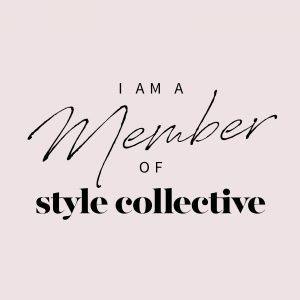 Joining some local blogging groups has a been a great source of newer friendships for me. Best wishes as you get settled into your new home! I’m really not much of a big thinker/planner. I already follow a healthy lifestyle but in 2019 I do want to reduce stress and increase sleep. To achieve these 2 goals I have started to take steps in the right direction. I like what you say about friends. I think we can all relate. A great read. Thank you for sharing! Thanks so much for stopping by! So glad you felt the post was helpful/relatable! Great post! Just this morning, I was clarifying for myself what my priorities are this year. I have one goal: Improve my health. That’s number one. Then some minor goals. I think your printables will be very helpful. Thank you! Thank you and good for you! Health is such a biggie. It’s so hard to focus on anything else if that area is out of balance. Hope the printables will help with your planning. Next Next post: A Rich, Chocolate-y Tart for Your Favorite Sweetheart!